In May 2018 the state legislature adopted a modified definition of gas fitting under the State Plumbing Board Statutes making clarifications relevant to licensed Louisiana State Licensing Board contractors (LSLBC). Learn more on SELACACI’s resources page. 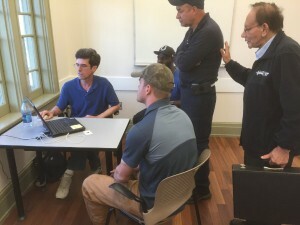 At a Heatload Workshop in April, Kenny Ripberger demonstrates the use of computerized heatload programs for contractors and a City official. SELACACI hosts monthly gatherings on heatload analysis to provide a way for HVAC contractors to learn skills using heatload software and to improve sizing calculations. Personalized orientation, skill-development, and problem-solving involving Computerized Heatload Analysis. This is a regular event held every month. Free help & advice — Take advantage of this while it’s available! Bryan Rainey of Family Air, Ray Langlois of Oschner, Mike Murphy of Artisan Associates, and Willie Williams of GBOB confer at the Heatload Workshop in June. If you’re new to computerized heatload analysis, the workshop will offer orientation. If you want to develop your skills further, you’ll be in good company. 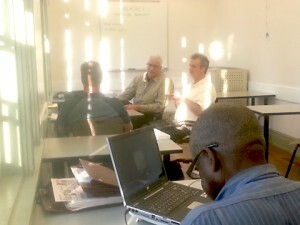 Each month, these networking sessions have grown more popular. Given the competitive nature of the industry and the investment of time necessary for contractors to properly go through all the steps of Manual J (A/C Sizing) & D (Duct Sizing) & S (Equipment Selection), it’s critical for technicians to understand the various steps in the process and to know to what degree shortcuts may or may not be acceptable — to avoid problems with the actual installation. This effort is not meant to take the place of heatload software training courses, but rather to provide an ongoing forum for the exchange of information, promoting maximum productivity. Come & Bring Your Hard Questions! There is no charge for these informal meetings; they are not a “class” per se (but you might learn as much as in a class). To receive monthly email confirmations of SELACACI’s Heatload Workshops, join SELACACI’s listserv for updates if you’re not already on it. SELACACI’s Board continuously invites input & ideas as it develops upcoming programs. Stay tuned to this website’s Resources page for updates for Code changes pertinent to the HVAC industry generally. SELACACI strives to continuously offer high-quality educational opportunities for any HVAC-related industry members, toward better appreciation and implementation of the Mechanical, Fuel Gas, and Energy Codes. 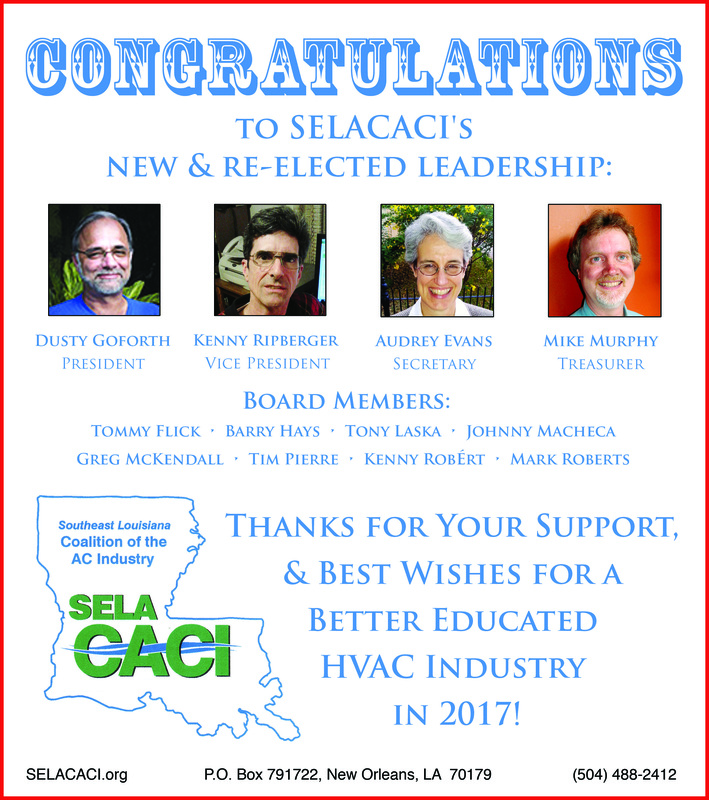 As a coalition composed of leaders in the A/C industry, SELACACI serves to complement, not compete with existing organizations, and offers an "open door" to members without requiring membership dues to participants.